The heavily armed gunman who slaughtered nine people at an Oregon college left a hate-filled note at the scene of his rampage and “felt the world was against him,” law enforcement officials confirmed Friday. Former acquaintances and social-media postings paint a picture of Mercer as a withdrawn young man who spent a lot of time on the Internet. Public records show that one person of that name was born in Los Angeles County in 1989. Police declined to confirm the shooter’s identity late Thursday and during a news conference Friday, in an attempt to not “glorify” the actions of the gunman who killed nine people and wounded nine others. Authorities told reporters that the shooter had amassed 13 weapons — all purchased legally by either him or a family member from a federal gun dealer. Six of the weapons were recovered at the scene and seven from his home, said Celinez Nunez, an assistant special agent in charge with the Bureau of Alcohol, Tobacco, Firearms and Explosives. The guns taken from the home were two pistols, four rifles and one shotgun, the Douglas County Sheriff’s Office said. In addition, investigators at the school recovered a flak jacket with steel plates lying next to a rifle and five magazines. Additional ammunition was found in the home, Nunez said. Mercer had enlisted in the U.S. Army and was stationed at Fort Jackson, South Carolina, from Nov. 5 to Dec. 11, 2008, Army officials said. But he was discharged for “failing to meet the minimum administrative standards to serve,” the Army added. 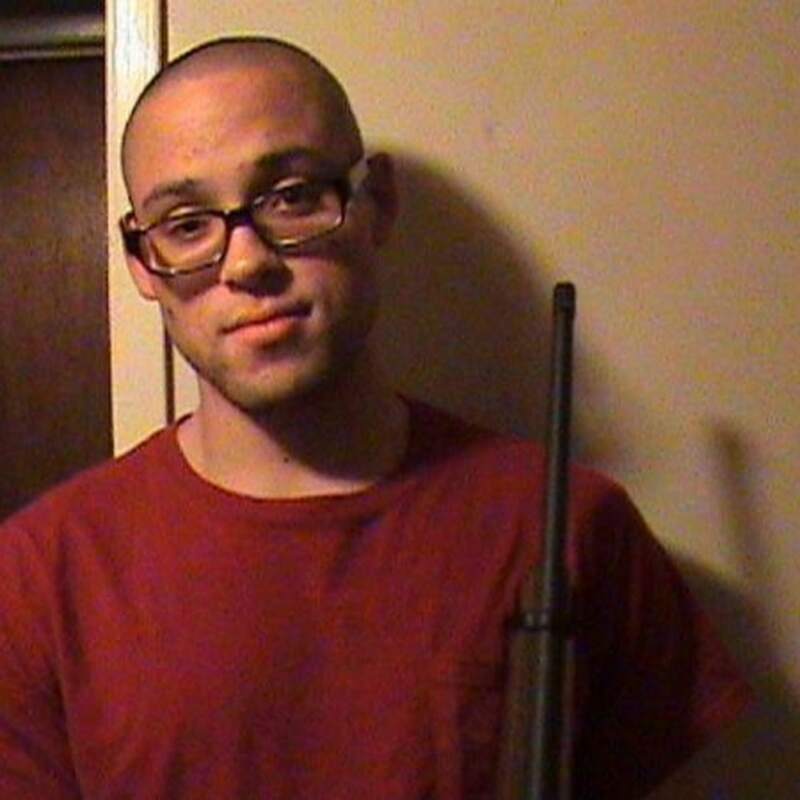 A Myspace page that appeared to be linked to the shooter featured Mercer holding what appeared to be a rifle while several other postings were sympathetic to the Irish Republican Army and featured masked gunmen and logos. The IRA is a predominantly Catholic paramilitary group which waged a bloody three-decade campaign to make Northern Ireland an independent republic separate from Great Britain. It was responsible for terrorist attacks in Northern Ireland and England, including an attempt to assassinate British Prime Minister Margaret Thatcher by bombing a hotel in 1984. More than 3,600 people were killed in the armed conflict. A man listing the same birthday — and whose photo strongly resembles Mercer — also held a profile on a dating and penpal site for “spiritual singles” that listed Los Angeles as his location. “Looking for someone who shares my beliefs, and is similar to me,” the profile says, listing “Internet, killing zombies, movies, music” and reading among hobbies and interests. Earlier reports, citing a survivor’s account as told to relatives, said that Harper Mercer asked people whether they were Christian before firing. But J.J. Vicari, who was in the classroom next to the where the attack occurred, said he never heard the gunman ask about religion and never even heard the gunman’s voice. Sci-fi and horror were listed as favorite types of movies on the Myspace profile — along with romantic comedies. The profile described the poster as “shy at first, but warm up quickly” and “better in small groups” — consistent with what Mercer’s acquaintances said. Former neighbors in the Los Angeles suburb of Torrance confirmed that Mercer lived with his mother in a downstairs apartment before moving to Oregon about four years ago. Bryan Clay said he’d encounter the shooter “every day” when he’d come home from school — and that Mercer kept to himself. An online public records search for Chris Harper Mercer shows one man by that name having lived in Torrance before moving to an apartment in Winchester, Oregon — just 2.1 miles from Umpqua Community College. NBC News could not immediately verify whether it referred to the gunman. Andrew Blankstein, Tom Winter, Alastair Jamieson, Courtney Cube and the Associated Press contributed. This article originally appeared on NBCNews.com.